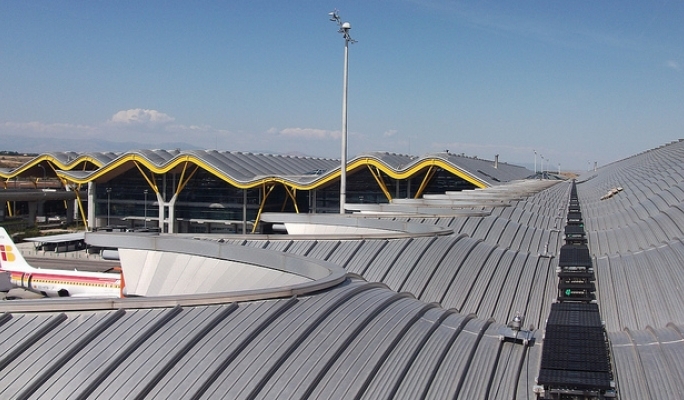 During the second half of 2011, Kee Safety has supplied its Kee Walk® roof safety equipment to the biggest airport terminal in Spain, offering full protection for those accessing and working on the uniquely designed sloping roof. 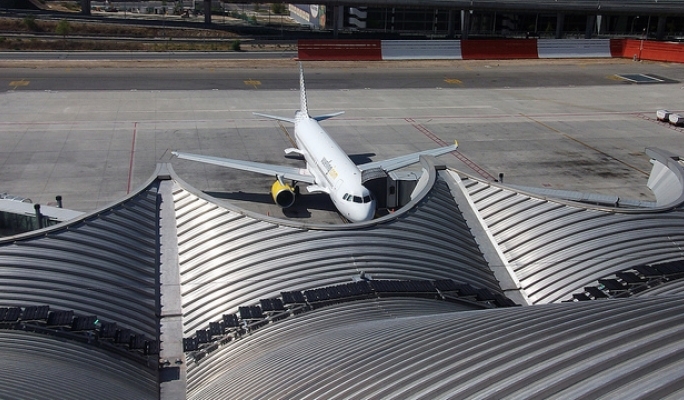 The expansion at Madrid Barajas Airport will establish this major European transport hub as a 21st century facility. 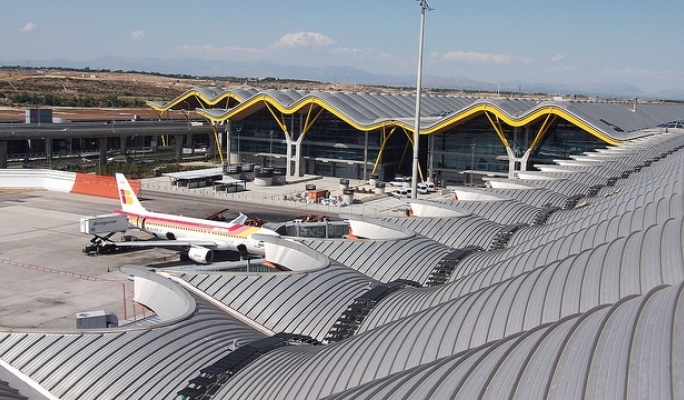 Able to handle up to 35 million passengers annually, the new, state of the art terminal, designed by Richard Rogers Partnership and Estudio Lamela, will deliver an improved passenger experience, creating an attractive and peaceful environment for travellers and employees. “We were delighted to be contracted for this internationally prestigious project” explains Jeff Rowley, Product Manager at Kee Safety. 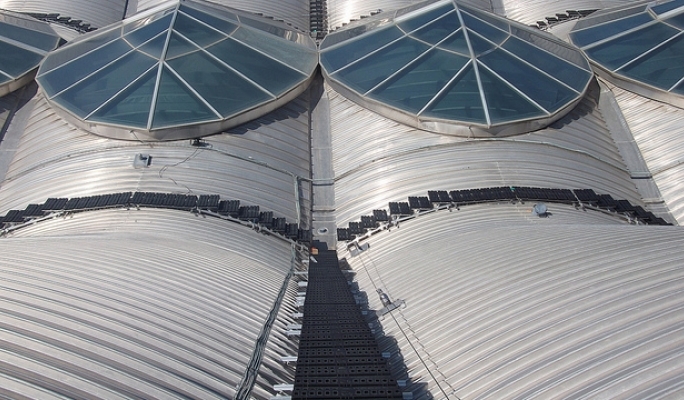 “The roof is undulating, so needed a solution which was flexible enough to cope with an array of different slope angles whilst complying with the latest EN standards. On the contractors side they needed confidence that the six month timescale from order placement to completion was achievable. Kee Walk® was ideal; a modular system, no custom made parts and each section delivered to site fully assembled to provide a level, anti-slip walking surface that is lightweight and does not penetrate or damage the roof.” Kee Walk® is the only system of its type which complies fully with the harmonised European Standard EN 516:2006 (Prefabricated Accessories for Roofing – Installations for roof access – Walkways, treads and steps) which became mandatory in January 2006. It exceeds the deflection criteria and slip resistance requirements of this standard and achieves almost double the friction requirement of BS 4592 in both wet and dry conditions. 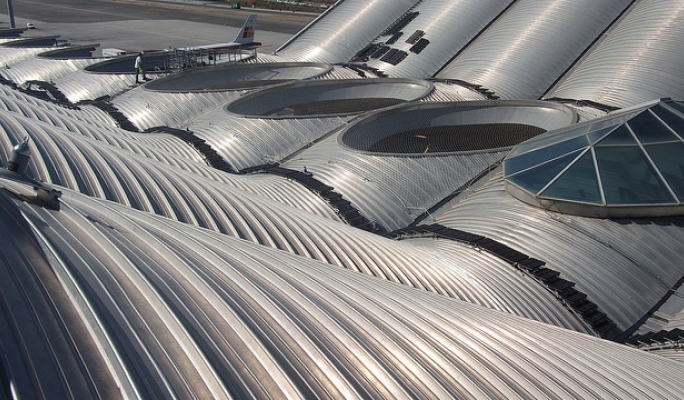 The finished project consisted of almost 7.5 km (4.1 miles) of Kee Walk® and was completed on time.